8045 Newell Street (by Patriot Group) is a five story, 120 unit condominium building. This building was completed and already Sold out in 2006. This Building offers a Fun, Funky, Hip and Laid Back Urban Lifestyle, in a Small Intimate “Pet Friendly” Building. Located by Historic Acorn Park in the South Silver Spring neighborhood, the Units have Open Floor Plans with High Ceilings, Washers and Dryers in the Units and either a balcony or sunroom. SAVE your GAS! and Walk everywhere from this building that has a very high Walkabilty Score. Walking Distance to Silver Spring Metro/Red Line, Rock Creek Park hiking biking trails and all the ammenities of Downtown Silver Spring. 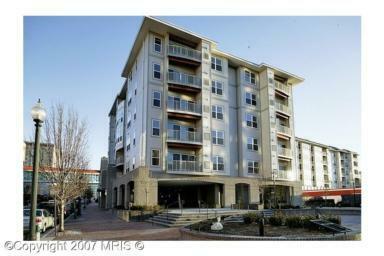 Thinking about Selling or Buying a Silver Spring Condominium? – Contact Debbie Cook (301) 587-3528 for your current, No Obligation Market Report on the Silver Spring Condominium Market. This entry was posted on Friday, July 11th, 2008 at 7:13 pm	and is filed under Home Sellers, Homebuyer, New Construction, Silver Spring Condos, Silver Spring Neighborhoods, silver spring real estate. You can follow any responses to this entry through the RSS 2.0 feed. You can skip to the end and leave a response. Pinging is currently not allowed.